Ready to learn yoga? This video set is a 30-class series, beginning from the very beginning. Each class builds on the previous one taking you gently from beginner into intermediate yoga. PLUS a bevy of bonuses!! 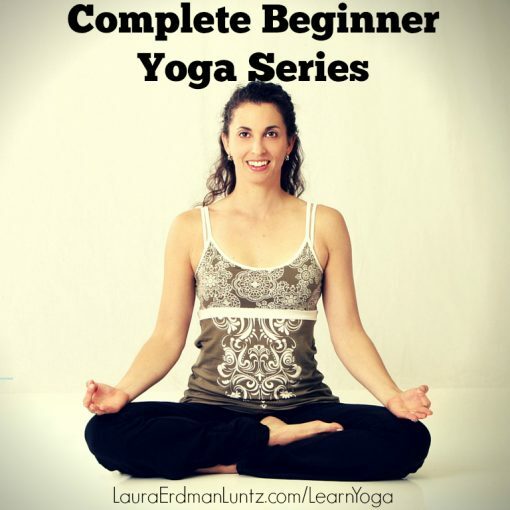 A personalized yoga video made by Laura just for you! Ready to learn yoga? And I mean REALLY learn it? Anyone can learn yoga if it is taught with enough attention to detail, patience and caring. Laura goes slowly and builds on your knowledge. You will learn how to do yoga. And you can do it in the comfort of your home, fit into your schedule. Each class builds on the previous class so you can move at your own pace. Bring a studio class to you! Laura will make a video customized for you with your needs in mine! You will tell her all about what your needs are in life. Do you need more courage and confidence? Self esteem? Do you need to let go so you can move on in life? What about feeling quieter and less stressed? Do you want a better night’s sleep? Or do you simply want more core strength or improved hamstring flexibility? Maybe you have lower back pain or upper back tension. Yep, she can help! She will create a 45-60-min video that has a yoga practice JUST FOR YOU! The video can also include breathing an/or a meditation just for you! A total of 30 class videos in downloadable format. The series is downloadable so it is yours to use and repeat as much as you want to in the future! When you get through the series and are ready to strike out on your own, this course will walk you through the steps of setting it up, deciding what your practice should look like. Enjoy a heart-centered meditation mp3, a lovely addition to your yoga practice. We end every yoga session with a calming relaxation called Savasana. This recording can be used anytime, anywhere to help you completely relax. Do the names of the poses confound you? Enjoy this guide with all the poses you learn in the series and more. There is a photo and both Sanskrit and English names. When you are ready to invest in your own props, this guide covers Laura’s favorites! Want to add Essential Oils to the mix to up your practice? Laura has a few suggestions for you.